Planning to DIY your wedding bouquet? Well we have a gorgeous bouquet recipe to share with you from the talented folks over at Studio C Florals. 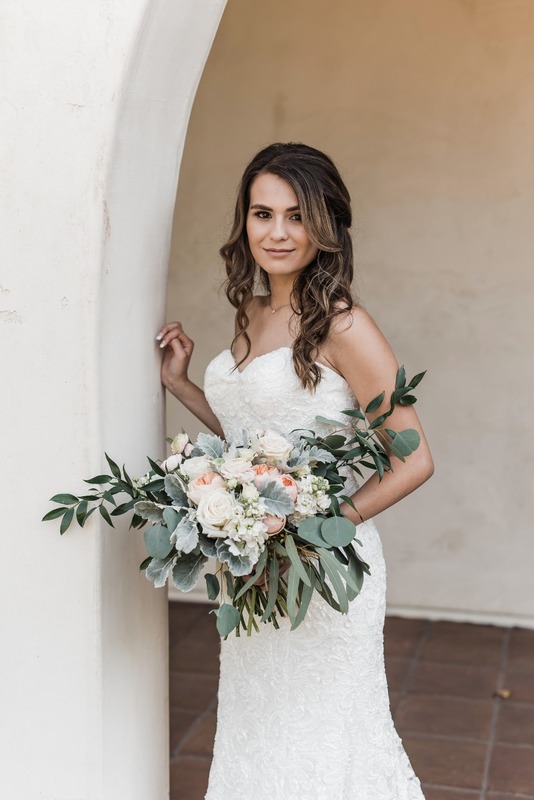 This elegant bouquet is filled with soft muted colors and loads of greenery- perfect for a chic outdoor spring or summer wedding! Find all the flowers you'll need to recreate this chic greenery bouquet below and while you're at it, what about your cake topper? Find some gorgeous DIY cake topper ideas below to match. Happy arranging! 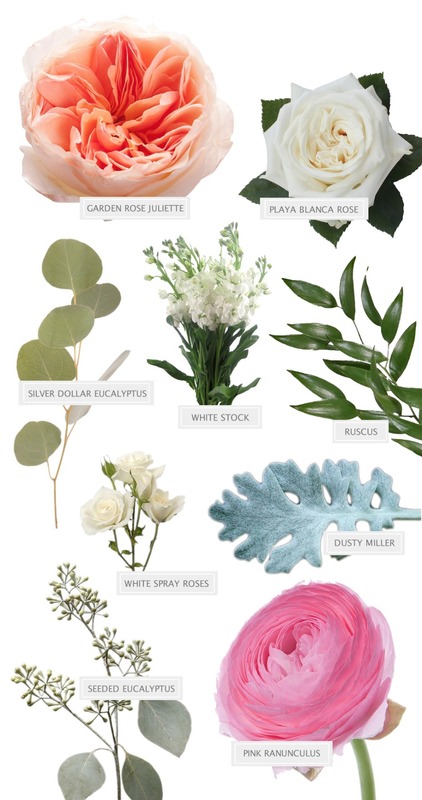 Flowers needed: Seeded eucalyptus, silver dollar eucalyptus, white stock, pink ranunculus, dusty miller, white spray roses, garden rose Juliette, playa blanca rose, ruscus. If you're going to DIY your bouquet, you might as well put those leftover florals and greenery to good use. 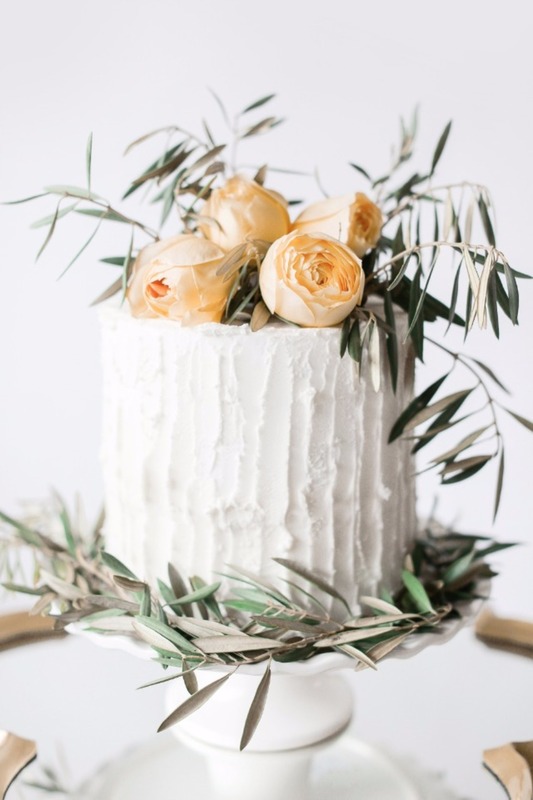 Grab any extra greenery + blooms available and easily recreate a matching foliage cake topper for a gorgeous cohesive look. I mean, look how pretty these DIY toppers turned out below! 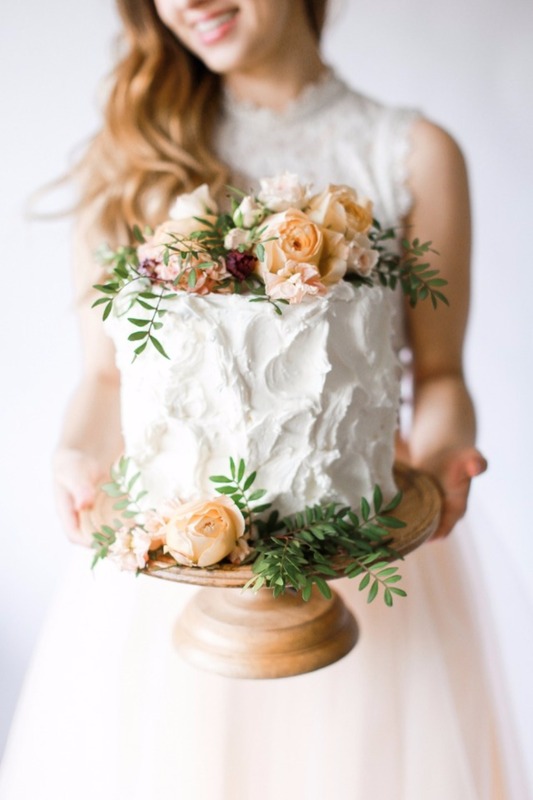 Find all the tips you'll need + more foliage cake topper inspiration here.